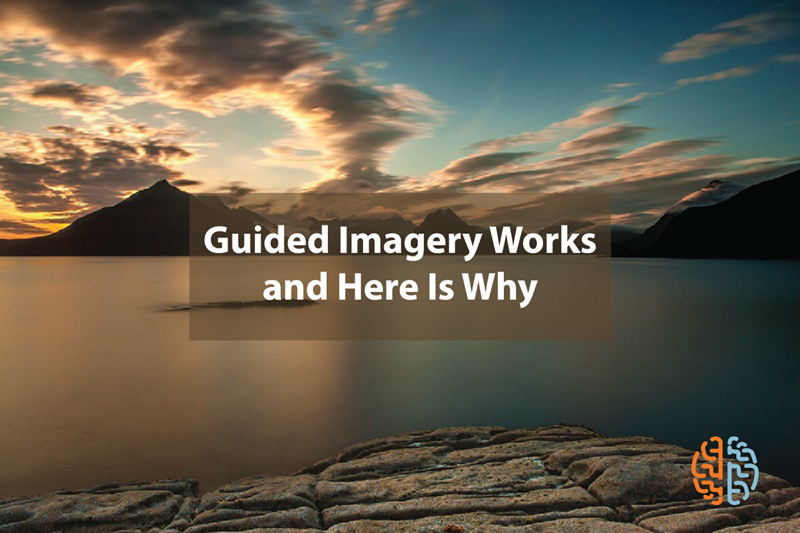 Guided Imagery is designed to alleviate daily stress and tension. It is also beneficial in controlling your breathing, while truly synching the body, mind, and spirit. For years, this popular technique has helped countless individuals’ secure optimal solace within tranquil and serene environments. Whether under the tutelage of an instructor or via guided imagery or recordings – the object of this sub-culture of yoga is to eliminate clutter and restore proper mental clarity and focus. The first step in guided meditation is to sit in a comfortable and relaxed position. In some cases, your instructor or the recording you are listening to will have you lying down. Next, you will have access to a series of relaxing visualizations and sounds. This can include a soothing and relaxing voice, along with sounds of waves crashing against the shore. As you gradually begin to relax and become more still, your heart rate will decrease and you will be more in control of your breathing and thoughts. Stress, tension, and other worries will begin to fade away and your mind will truly become clearer and connected to stimuli and the environment. Guided meditation works simply be relaxing the mind and open the sub-conscious mind to positive suggestions. These suggestions are offered by videos, sound files, and especially instructors that can help you achieve oneness with yourself, surroundings, and higher powers. For example: guided meditation or guided imagery can be customized to secure personal empowerment and positive thinking. Other forms can target emotional healing or spiritual development, which can truly unless the full potential in life, work, family relations, and more. Most of all, these techniques help you learn how to relax and get back to your core center. With deep relaxation, the mind is able to tackle anything that comes its way in the real world. Guided meditation can truly become the blueprint of your life. In fact, it is an effortless and enjoyable technique that can truly make you appreciate life more. At the end of any guided meditation session, you will return to a normal state of awareness. However, you will feel completely rejuvenated, relaxed, and refreshed – and all that mental sluggishness, stupor, fogginess, and clutter will be gone. Whether for five minutes per day or an hour, you can truly reap the benefits of meditation and yoga for years to come.